August 31, 2009 -- The Fine Arts Center Gallery at Arkansas State University is pleased to present "Resisting Closure," an exhibition of recent work by painter Mack Gingles. An opening reception honoring the artist will be held Tuesday, Sept.1, at 5 p.m.
Gingles is assistant professor in the Department of Art at Texas A and M University-Corpus Christi, where he has taught painting and drawing since 2006. He earned BFA degrees in Graphic Design and Studio Art at Louisiana Tech University and went on to complete an MFA in Painting and Drawing at Louisiana State University in 2005. 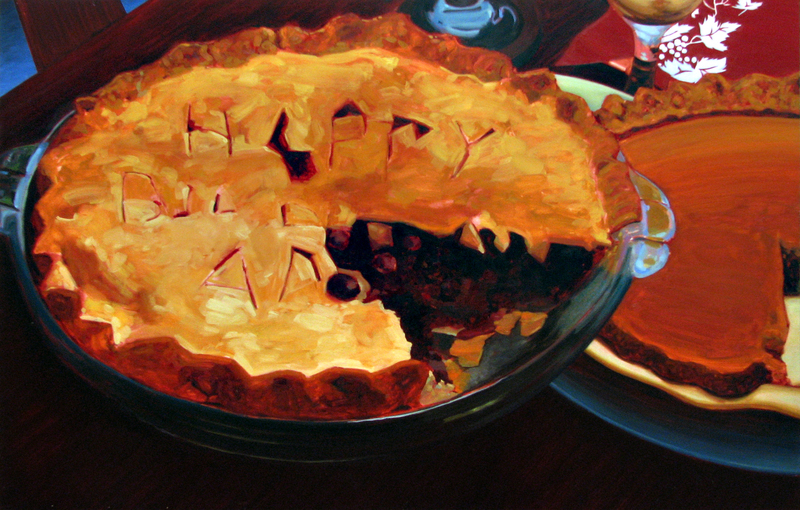 Gingles has exhibited his work in solo and group shows throughout the United States. His work was also included in recent exhibitions at the Museum of Contemporary Art in Skopje, Macedonia and the Museum of Fine Arts in Minsk, Belarus. "My drawings and paintings," Gingles writes, "work at a description of those people close to me. Often these figures are distracted and set against a quiet but visually treacherous space. The situation is generally unclear and seemingly harmless, but there is often some aspect of the image that toys with our notions of domesticity. Over time I have come to rely on this format as a means to question what I know. The distance between knowing and not knowing is what interests me." "I choose mark-making materials that invite this questioning sensibility and resist closure. Certainly there are more efficient ways to engage in appearances, but none I believe suggest a perspective so decidedly human as touch. Drawing and painting is about touch for me, over time and in time. My work is created out of a need for this time to hold certain moments and exhaust their potential for mark. For me, the gesture of these marks is an attempt to reconcile the more essential qualities of the form and ultimately the subject." The exhibition and reception are free and open to the public. The exhibition will be on view through Friday, Sept. 25. The Fine Arts Center Gallery is open from 10 a.m. to 5 p.m. Monday through Friday. For additional information, contact the Department of Art at (870) 972-3050.